The imagery for Arkitect by Custo features 80 items, made in Colombia. This collection will be immediately available to buy on arkitect.com. The long-awaited Colombia Fashion Week – or Colombiamoda—begins tonight in Medellin with Spanish designer Custo Barcelona’s inaugural runway show for Colombian retail giant Éxito’s exclusive Arkitect line. Organized by Inexmoda, the country’s premiere fashion fair features four days (July 23-26) of runway shows, 500 exhibiting brands, 13,000 buyers, and a whopping 56,000 visitors. 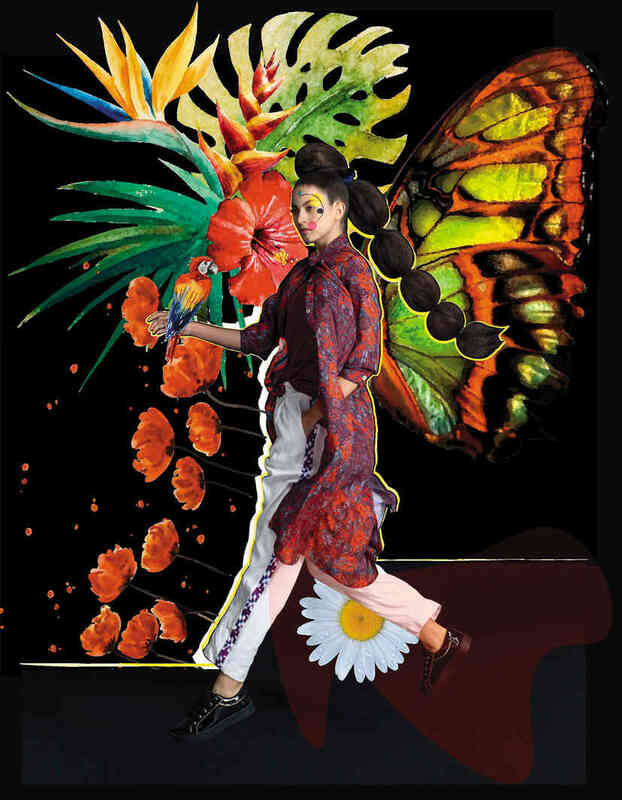 It’s a chance for Colombia’s blooming talents to show their ideas and collections to the global fashion community, in a platform that has catapulted the careers of none other than Johanna Ortiz, Maria Luisa Ortiz and Leal Daccarett. The highly anticipated JBalvinxGef collection will be shown Tuesday night. This year’s novelties include a business platform that allows buyers to organize meetings with potential clients months in advance, an area inside the Textiles2 micro-fair devoted to unveiling 100% Colombian textiles branded with the new “Origen Colombia” seal, a graphic market providing 30 independent illustrators and artists the chance to offer their unique designs to fashion brands, plus a virtual reality space that guides visitors through Inexmoda’s “Ruta de Transformación,” detailing the transformation of brands under Inexmoda’s guidance. Last year's inaugural fashion show featured bold knitwear pieces by Pepa Pombo. In addition to casual wear brand Gef’s collaboration with reggaeton artist J.Balvin, we are looking forward to tonight’s opening fashion show by Custo for Arkitect, the closing show by Banco de Bogotá and Carrusel with Isabel Henao, AVON Foundation with SOY: Diego Guarnizo and María Luisa Ortiz, and Chevrolet’s Fashion Night with Andrés Pajón, Andrea Landa and Camilo Álvarez, among others. A backstage view of last year's inaugural runway show with Pepa Pombo. To follow are a few highlights of the runway schedule, which you can stream online at colombiamoda.com.